The sharpened edge is probably the first tool humans made. From sharpened bone, to knapped stone, to bronze, then iron and steel, we now have a selection of edged weapons and tools for every use. So what do you need? If you have been prepping, camping, soldiering or adventuring for any period of time, you probably have a favorite selection of blades for various uses. However, if you are just starting out, there is a bewildering array of edged weapons and tools on the market, especially marketed towards the prepper and survivalist, to choose from. It helps if you remember that edged tools are just that: tools. And tools are designed to do specific jobs. And really great tools will do more than one job. There is no way I can describe all of the edged options you have in just this one article, so lets take a look at the various major categories of edged options you have, and some good examples of each, in order for you to get a start in selecting what you need. Keep in mind that quality is a very important factor, but price and quality are not necessarily the same thing. There are excellent expensive knives and there are excellent inexpensive knives. So lets look at the various categories of edged weapons/tools and see what they are used for. Folding knives come in a wide variety of sizes and have a lot of advantages over fixed blade knives and some weaknesses compared to them. Some of the advantages include length because the knife folds almost in half, and the fact that the blade is protected (when folded) by the handle. In addition, many folders have spring metal clips which allow them to be secured by a pocket, or on gear using MOLLE loops. Good folders have a locking mechanism to keep the blade in the unfolded position and to preclude it from accidentally folding back on fingers. One of the disadvantages is the point where the knife blade pivots back into the handle is not as strong as a fixed blade knife with a full tang grip. This isn’t really important as long as a folder is used for it’s designed purpose. Folding knives are great for every day carry (EDC) and for back up. I have a number of them in different sizes that I keep in my bug-out bag (s), vehicle and first aid kits. This Gerber Obsidian is not only an excellent pocket knife, but has a can opener, two screwdriver heads and a small file as well. 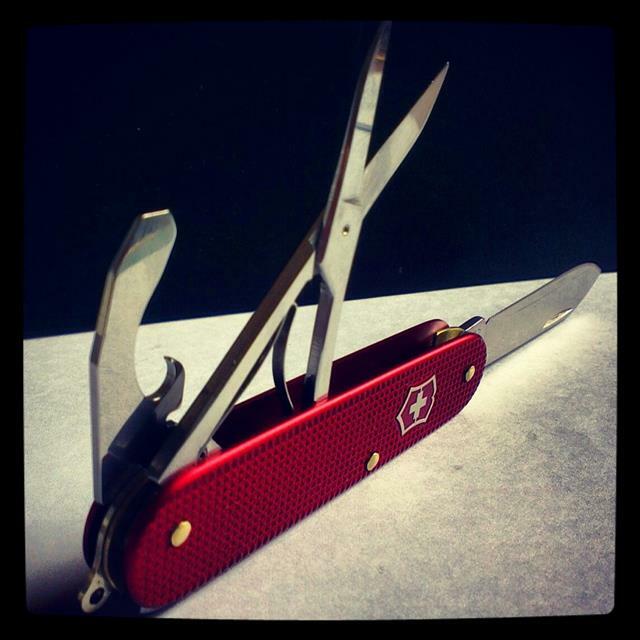 The Swiss Army Knife is an example of a good all around folding pocket knife/tool. Some folders are designed to be used for defensive purposes. The Gerber Applegate Combat Folder is a good example. I carried one of these clipped to my chest rig in Afghanistan. 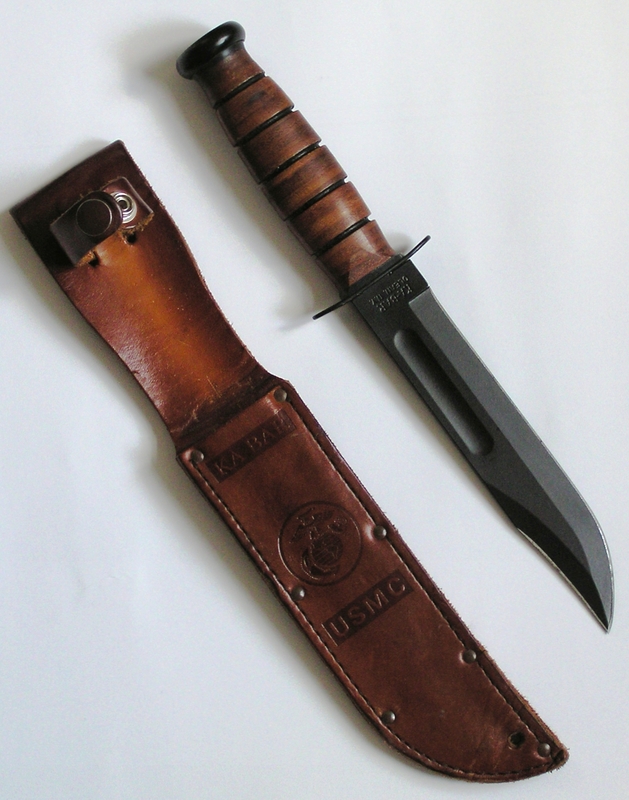 The terms “Survival Knife” and “Fighting Knife” have often melded into each other. 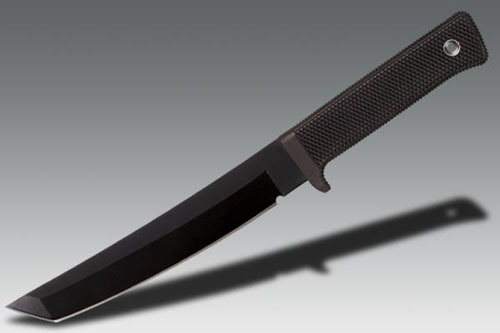 as there are a tremendous number of knives of various lengths and blade designs on the market that fill the bill for, or are advertised as, both. In choosing a survival knife, consider what you would be using it for. It needs to handle such issues as slicing wood slivers for fire starting, opening tough plastic container’s of survival food, skinning wild game, and just about a million other chores. You should have a knife with a full tang meaning that the knife is made from one solid piece of steel and the handle is nothing more than an extension of the blade with handle material around it. These are the strongest knives. Handle material is important as you do not want the knife to slip in your hand if it is wet. There are a large variety of blade designs, and you need to experiment to decide which design works best for your needs. The K-Bar has been a standard since WW2. Still currently made in various models and lengths, it is a proven design and a quality product. The handle is made from hard stacked leather rings, and the scabbard comes in brown leather. There are so many good quality knives on the market that it is really hard to list even a fraction of them. But some of the most popular and well made include Cold Steel’s Recon Tanto, SOG Seal Pup, and Gerber’s LMF II. Serrations or none? Many quality survival knives will come in two models. One with serrations as part of the blade, and one with none. Some people like serrated edges. I don’t. But is an individual choice. Next, lets look at some specialty type blades and their uses. For an in-depth look at this amazing edged weapon design, read my article on it here. The Kukri is a unique design that hails from Nepal. Probably copied in ancient time from the Greek Kopis cavalry sword, it has been used as both an agricultural tool, and a fighting weapon. You can order an original from Kukri House in Nepal or one of the home-grown designs such as the K-Bar Combat Kukri. The Kukri requires training and practice to get the full use of it. But it has many uses such as chopping wood, or animal bone when butchering, that are beyond a standard size knife. The machete has been used for a long time as an agricultural and survival tool. It is handy for brush clearing, and light wood chopping. There are a variety of them on the market, and Gerber makes an interesting survival version with a saw blade on the backside of the blade. So how many knives do you need? That is up to you. You should have at least one or two good folders for your EDC (Every Day Carry) and in your bug out bags. Maybe more strategically located throughout your gear or on your person. You need at least one good solid fixed blade knife and two would even be better. Why? Even the best blades can be broken, and the old adage that “Two is One, and One is None” applies. Redundancy is key to survival. In Part 2 we are going to continue looking at specialty blades that you need to consider. Agreed. I do not like them on my primary knife as they tend to limit the amount of useful sharp edge you have. 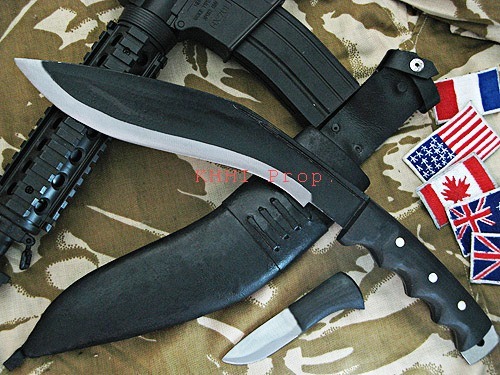 There are actually 2 classes of fixed blade knives, “field” (large) and “bush” (medium). The large is great for chopping (wood/bone as opposed to brush clearing where the machete is optimal) but unwieldy for some other tasks. The medium knife is much more convenient for most tasks but is lousy for chopping. A blade shape which has a particularly thin tip can work well as a combat knife, but the tip is a bit fragile for other survival purposes. The Ka-Bar is decent for combat, and adequate but not optimal for other emergency usage (fine as long as you have multiple backups). I have found that knife terminology can vary depending on where in the world I am. With the vast variety of knives available, specific categories sometimes get blurred, but in general your observation is correct. One of the reasons I do not like serrations on a blade is that I have found absolutely no use for them, and they reduce the amount of blade I have to really use. Having multiple backups is always a good thing. Two is one and one is none.